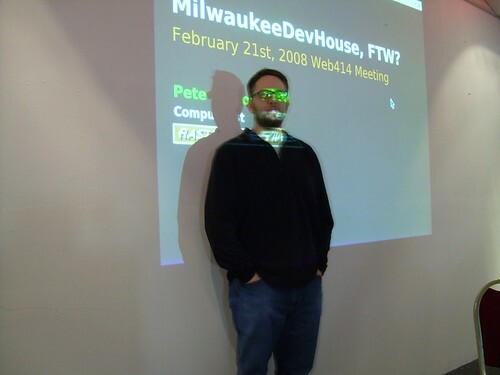 I gave a presentation at Web414 last night about MilwaukeeDevHouse. Because I am FAIL! 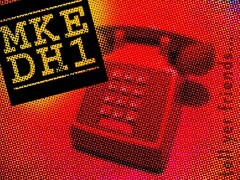 at using office suites, I did the presentation in S5, and it’s called MilwaukeeDevHouse, FTW? MilwaukeeDevHouse1 will be taking place Friday, March 14th, 2008 at Bucketworks in Milwaukee, Wisconsin. Get there around 7PM, stay until you fall over. Photos in the presentation provided by Scott Beale aka Laughing Squid. Inspiration for MilwaukeeDevHouse courtesy of SuperHappyDevHouse… Thanks yo!